The name of the new member of the news team is XIN Xiaomeng. She was created by Xinhua News Agency and the search engine Sogou and will make her debut during two sessions of the Chinese legislature meeting in March. She will be accompanied by a male AI trained in English or Chinese. Both presenters have the ability to stand and talk at the same time. 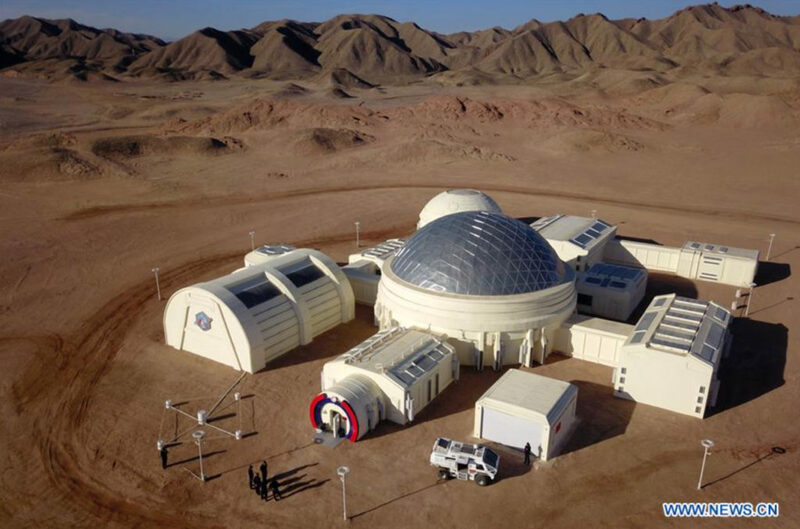 The purpose of the “Mars Base 1 Camp” in Jinchang City, Gansu Province, is to popularize science and promote interest in space exploration. A 100 kWh Na-ion battery (NIB) energy storage system was installed as a demonstrator to supplying power to the building of Yangtze River Delta Physics Research Center located in Liyang city. It was jointly developed by a team around HU Yongsheng from CAS Institute of Physics, and HiNa Battery Technology Co. The 30 kW/100 kWh NIB power station will store off-peak electricity from the grid and provide part of the electricity for the building of Yangtze River Delta Physics Research Center during on-peak period. Ton-level production lines of cathode and anode materials have been established, an NIB cell fabrication line with MWh production capacity has been built, and NIB pouch cells with energy density of 120 Wh/kg and cycle life of 2000 cycles have been developed. The performance of NIB packs in E-bikes, mini electric vehicle and household energy storage cabinets has been demonstrated, providing China with a leading position in research and commercialization of NIBs. A joint research team of CAS QIBEBT and Ruhr-University Bochum found that cytosolic carbonic anhydrase (CA2) is a key sensor of the extracellular carbon dioxide level in microalgae. By knocking out this gene in Nannochloropsis, the algae showed higher pH tolerance, sustained pH hemostasis, stimulated energy intake and enhanced photosynthesis, resulting in in ~40% elevation of biomass accumulation rate under 5% CO2 which was reproducible across photobioreactor types and cultivation scales. A joint research team of CAS Dalian Institute of Chemical Physics and Tianjin University have established a process to convert cellulose to 2,5-hexanedione with high selectivity, obtaining 71.4% of 2,5-hexanedione carbon yield after separation. In a second step, this chemical was converted to a C12 and C18 polycycloalkane fuel having a branched structure by an aldol condensation-hydrogenation-hydrodeoxygenation reaction with a carbon yield of 74.6%. The polycycloalkane obtained in this process showed high density (0.88 g/mL) and a low freezing point (225 K). 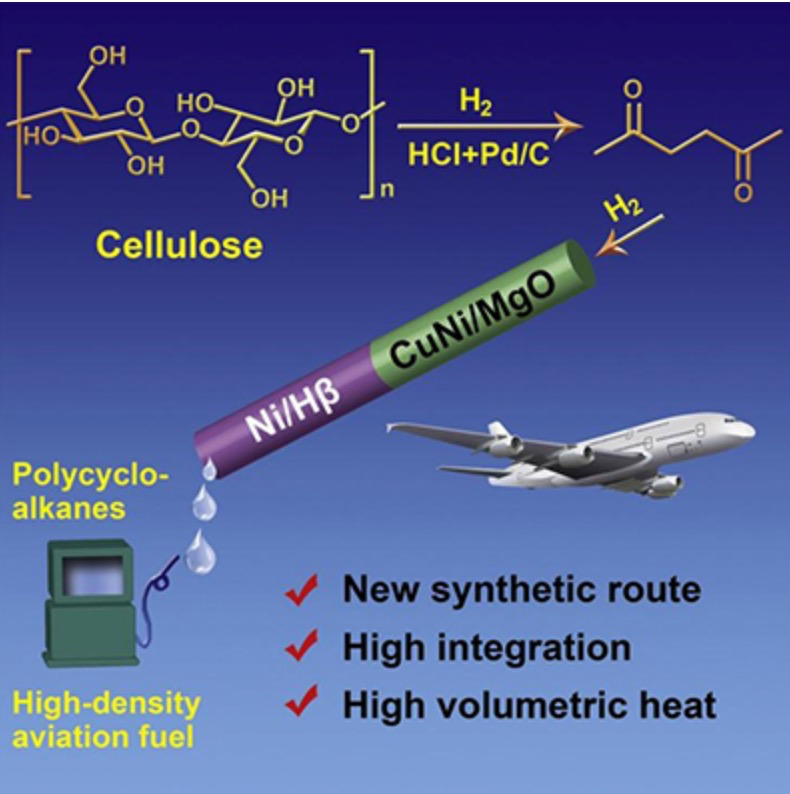 In practical applications, it could be used as a high-density advanced aviation fuel, or as a fuel additive to increase the volumetric calorific value of aviation kerosene. During Xi Jinping’s visit in France in March 2019, space authorities from both sides signed an agreement to step up cooperation in space exploration. China will fly French experiments on its Chang’e-6 mission to return samples from the Moon in 2023-24, earth observation missions based on the China-France Oceanography Satellite (CFOSat) will be extended to ocean salinity and soil moisture, and a China-France project for building a Moon village is under discussion. Senescent mesenchymal stem cells (hMSCs) are found in cartilage tissues isolated fromosteoarthritis patients suggesting a role of these cells in the disease. A joint research group of CAS Institute of Zoology, Institute of Biophysics and Peking University have now found in animal experiments that a protein, CBX4, protected hMSCs against cellular senescence through the regulation of nucleolar architecture and function. CBX4 protein was downregulated in aged hMSCs whereas CBX4 knockout in hMSCs resulted in destabilized nucleolar heterochromatin, enhanced ribosome biogenesis, increased protein translation, and accelerated cellular senescence. The researchers conclude that CBX4 maintains nucleolar homeostasis by recruiting nucleolar protein fibrillarin and heterochromatin protein KRAB-associated protein 1 (KAP1) at nucleolar rDNA, limiting the excessive expression of rRNAs.When CBX4 was overexpressed in mice, the development of osteoarthritis could be attenuated. This suggests that gene therapy might be a future therapy for the alleviation of osteoarthritis in man. Global consumption of fish for food increases by an annual 3.2 % and production is mostly carried out by extensive or semi-intensive aqua farming, leading to methane and NOx emissions (1.82 % and 0.34 %, respectively, of global emissions). China is among the major countries involved in such type of aquaculture. Investigations by DING Weixin and colleagues from the CAS Institute of soil sciences suggest that if such systems could be replaced by intensily managed aquaculture farms based on efficient aeration, optimized feeding and reduced feed waste, emissions might be cut by 40 %. The group of Yongbing TANG at CAS Shenzhen Institutes of Advanced Technologies has reported on a new type of calcium ion batteries (CIB) which uses activated carbon as anode and tin as a cathode. Reportedly this CIB has a good rate and cycling performance as well as high capacity and working voltage, and it retained 84 percent of its initial capacity after 1,000 cycles at room temperature. When the group around WANG Peng from China Agriculture University added chlorpyrifos pesticide into the food and water of mice, they found an increase in body weight. They assume that pesticide intake broke the integrity of the gut barrier, leading to an increased entry of a toxin into the body and finally inflammation, which ultimately induced insulin resistance and obesity. Similar results were observed in mice with different genetic backgrounds and diet habits, suggesting that genes and diet had limited influence on the altered gut and gut microbiota. In a recent survey among 2,006 people by China Youth Daily and a leading Beijing-based AI company, 89.4 percent of respondents were optimistic about using AI technology over the next five years. Among the respondents, 53.7 percent were most familiar with automated driving, 53.4 percent with intelligent robots, and 44.8 percent with intelligent home appliances. In the survey, 49.3 percent of respondents felt that the most likely replacement for a job by AI were waiters, followed by secretaries (42.3 percent) and security personnel (40.2 percent). In contrast, the profession of journalists was rated the least replaceable in the survey. It is known that during cold exposure animals sustain their body temperature by activating heat production from Brown Adipose Tissue (BAT), promoting “browning” of white adipose tissue. As shown in mice experiments by John R Speakman, CAS Institute of Genetics and Developmental Biology, groups of gut microbiota where eradicated using different antibiotics. 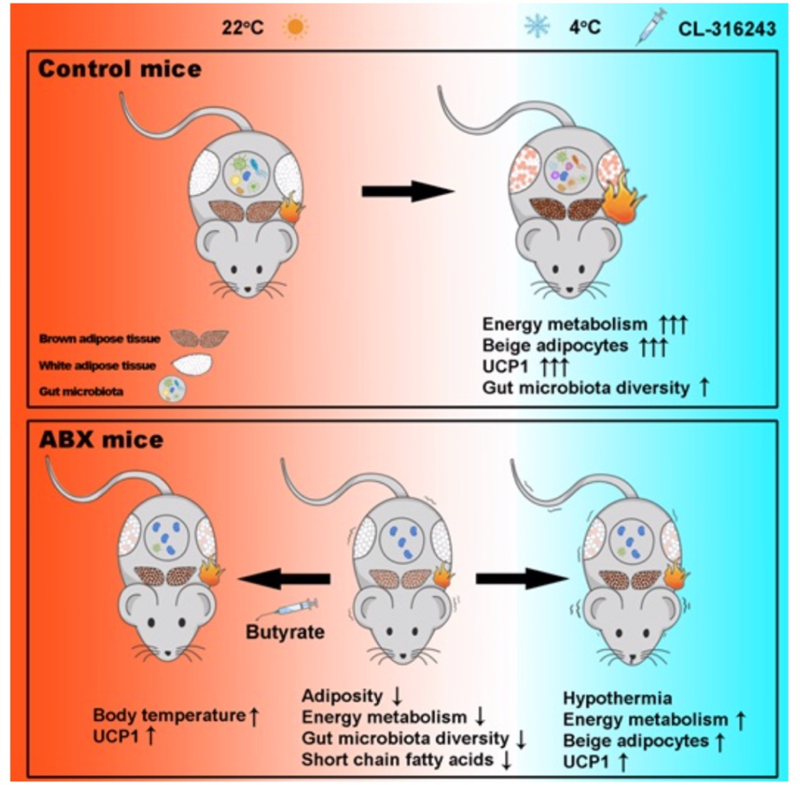 The animals lacking gut microbiota showed impaired thermoregulation. The results where corroborated in germ-free mice. The effect could be because, in the absence of an intact microbiome, the animal is unable to digest sufficient quantities of food to meet elevated energy demands in the cold, and the impact on BAT is a secondary effect. However, the team also showed that addition of the bacterial metabolite butyrate increased the thermogenic capacity of antibiotic-treated mice. This suggests that microbiota plays an important signaling role in the process that stimulates cold-induced thermogenesis. 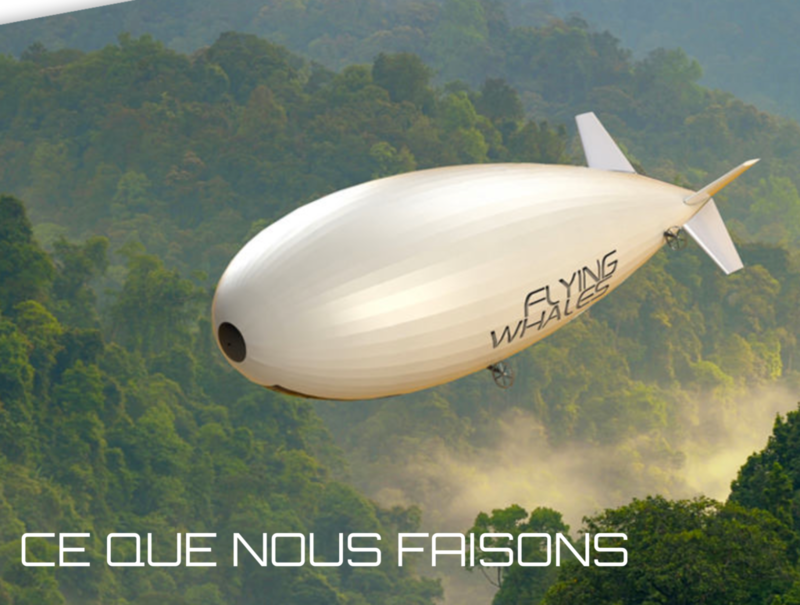 The French enterprise Flying Whales located in Suresnes has developed an airship LCA6oT (“Flying Whale”) for the transport of heavy, high-volume loads over shorter distances at low cost. The Chinese AVIC General keeps 24,9 % of shares of this company. People’s Daily is now reporting that Jingmen, Hubei Province, is building an assembly line for such airships for the world market. They could transport goods such as wood or wind turbines. The 43d Chinese Internet Development Status Report published in Beijing on February 28 counted over 800 million internet users and 37,9 million internet domains by the end of 2018. Net users spent an average of 27.6 hrs per week on the internet. Poyang Lake, Xinjiang Province, is China’s biggest freshwater lake measuring 3500 km2. It provides a habitat for half a million migratory birds. A study investigating the microplastic pollution in water, sediment, and fish samples of Poyang Lake and supported by CAS found that microplastics are abundant and ubiquitous in the lake. The majority of the detected microplastics were found with a size of <0.5 mm, with fibrous and colored being the predominant characteristics. Polypropylene (PP) and polyethylene (PE) were the major polymer types. Fishing activities and domestic sewage can be the major contributors of the microplastic abundance in Poyang Lake. In addition to human activities, the distribution pattern of microplastic contamination of Poyang Lake may be also affected by hydrodynamic and topographic conditions.